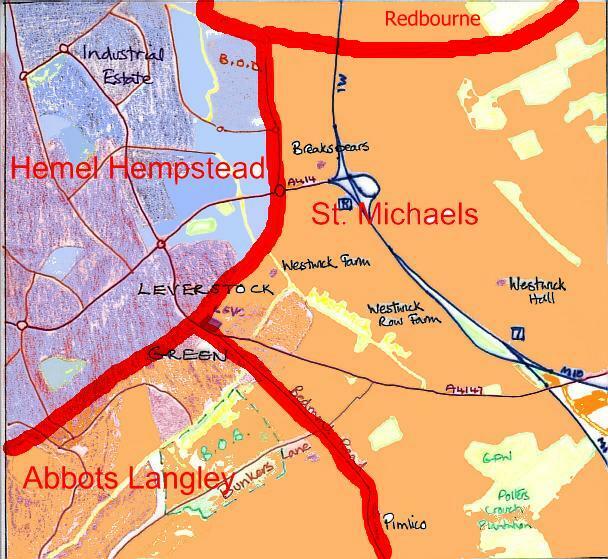 1839/40 - As a result of the Tithe Commutation Act of 1836, The Tithe maps for Hemel Hempstead, St. Michaels and Abbots Langley, the three parishes over which Leverstock Green was spread, were all surveyed at this time. 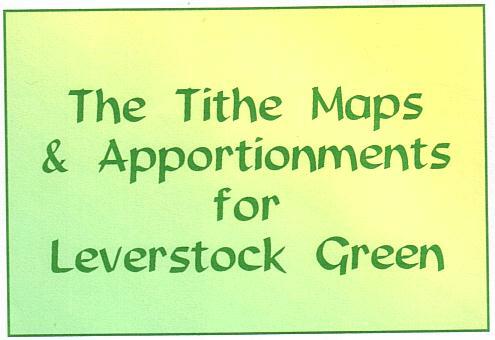 Three copies of each map were made and initially given respectively to the Tithe Redemption Commission, the appropriate Bishop ,and the parish authorities. They can still be seen at HALS. As each of the three maps is approximately eight foot by eleven foot it would be impossible to look at each map in its entirety. 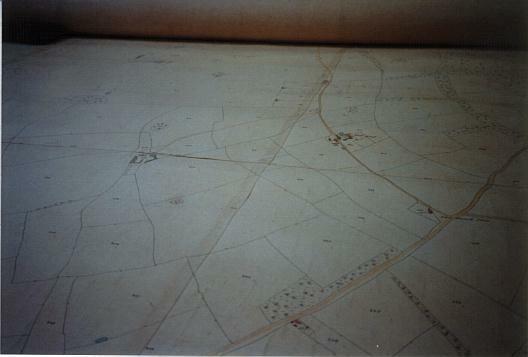 Fortunately the Leverstock Green section of each map only takes up a section roughly four foot by five foot, and the Record Office has a map chest designed to take these huge scrolls. 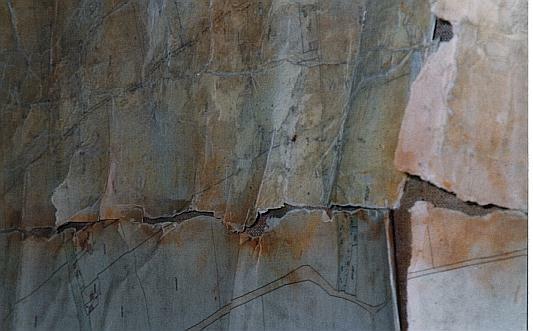 The maps were of course hand drawn, and quite beautifully executed. Each parcel of land is carefully numbered, and colours were used to distinguish certain features. A sandy brown was used to show the track and routeways, buildings in red are usually dwellings, whilst those in black are outbuildings, farm buildings etc.. Ponds and rivers were shown in blue. 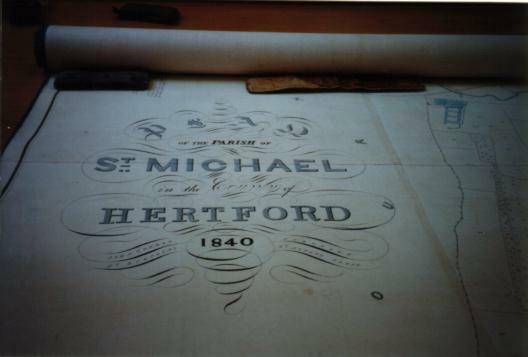 The tithe map for Hemel Hempstead was surveyed between 1840 and 1841 by George Alexander Smith for John Griffin, Surveyors. 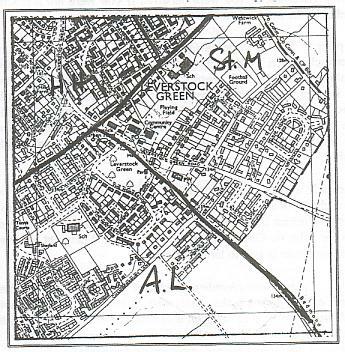 The parish was subdivided into separate tithings, with one division known as Leverstock Green, but this only came as far east as a line along much the present day line of Crofts Path/Green Lane. Some parcels of land relevant to our study area were listed in another tithing. 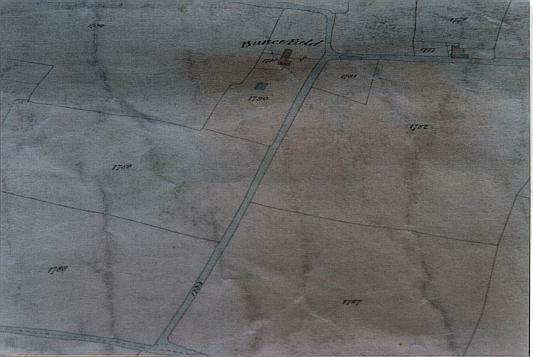 The information regarding ownership and landuse of the land, parcel by parcel, and relevant to this study within the Hemel Tithe record, is on a separate page. At the beginning of the tithe record the principal holdings were listed along with their owners and occupiers and the "quantity" of the land. 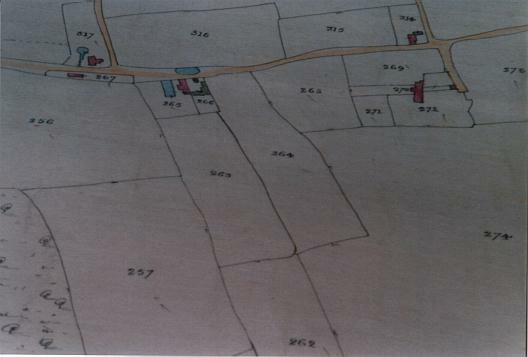 * This was the area of farmland West of Green Lane, on either side of Buncefield Lane, and which (although within a different parish), formed part of the farm, centred on today's Westwick Farm. 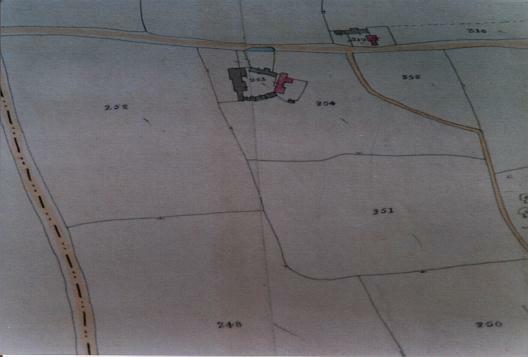 This was a considerable holding which included land on either side of Pancake Lane (including Pancake Wood) and stretched up to the boundary with Redbourne. Each parcel of land ( or field) had its own name, many of which are still in use today as road names. ( e.g." Peascroft", "Lower Reddings., "Rant Meadow", "Crofts Path" and others.) However, even where old field names have been used, they don't necessarily have exactly the same geographical position as the original field. 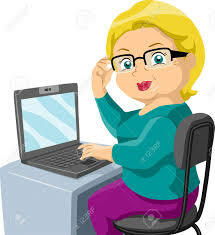 Other names referred to the use the land was put, or had been put in the past. e.g. "Little Orchard" "Pear Tree Field" "Rickyard ". In some cases to the shape of the land, or its nature gave the field its name,. e.g. "Three Corner", or "Shoulder of Mutton." or "Winding Short" or "Long Field". Quite a few of the field names related to the brick and tile making industry of the area, e.g. "Kiln Orchard", Kiln Homefield" "Little Clayfield" or "Brick Kiln." Other field names conjure up the not so nice nature of the past, e.g. "Cut Throat Dell", and "Pest House and acres", this latter being where one of Hemel's Pest Houses stood in Wood Lane End. Another name which cropped up as either part of a field name or a name in its own right, was Pightle. A pightle was the medieval word given to a little enclosure for sheep. However in "Hertfordshire Heritage" by Carbery and Grey [ S82 ] they say that in the Hertfordshire dialect the word Pightle or Pikle is " an enclosure adjoining a farmhouse in which cattle are kept at night, but that the pightle now usually refers to an orchard." Other reference books claim it as a name used generally throughout the Midland Region to denote what had once been pasture or Meadow. Most of the land was tenanted, with one of the principal landowners being the Countess of Bridgewater. Other major landowners are shown in the table above. One principle holding not mentioned above, was that of Bennetts End Farm - I need to do so more checking at the Library to see if this was just outside the Leverstock Green "tithing" or whether it was part of the Duchess of Bridegwater's holding of Cox Pond as the two properties marched together. Landuse was basically divided into two categories: arable or meadow, with occasional woodland mentioned. Cottages and Gardens are usually listed in their own right, as sometimes are the brick/tile kilns. The latter are also mentioned as meadowland. 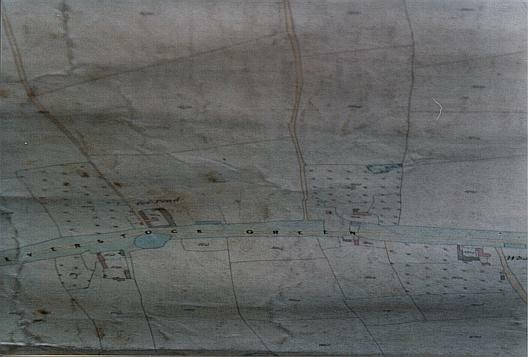 The surveyor for the St. Michael's Tithe map was John Goodman of St. Stephen's, in St. Albans. 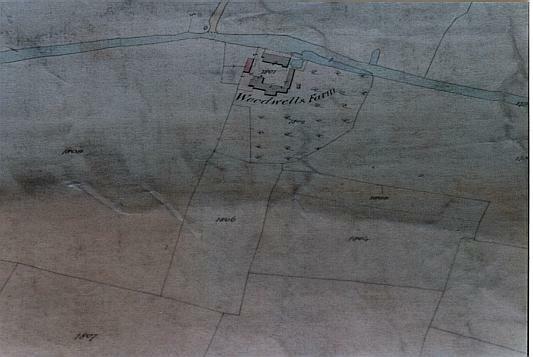 In some ways the survey is of a different character to that of Hemel Hempstead; this is largely because the vast bulk of the land that falls within our area of study, and which is included in the survey, belonged to the then Earl of Verulam. In addition to this, the land itself was farmed by only a few principal tenants: George Cawdrey, Joseph Finch (Corner Farm & Blackwater Farm), Daniel Headech (Westwick Row Farm), George Danes (Westwick Hall), Thomas Orchard (Bottom House), Thomas Hollingshead (Breakspears & Megdells). 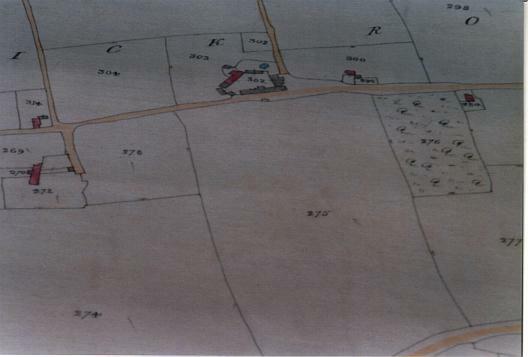 Joseph Finch also owned some of his own land and property in the area, and both he and George Danes were land owners in the part of Hemel Hempstead parish within our study area. Landuse was generally categorised as either Arable of Grass, with occasional Wood. As with the Hemel Tithe survey, the fields all have their own individual names. One name which occurs frequently both in this and the St. Michael's survey is "spring". This does not appear to refer to a spring or stream, buy a wooded area; as frequently, if the fieldname included the word spring, then the landuse was woodland. Many of the field names refer to the flora and fauna which had been associated with that stretch of land. e.g " "Broom Field", " Holly Bush", "Cherry Flush", "Badger Hills", "Buck Fields", "Shrew Field". Unlike the Hemel survey, no industry was recalled in the field names, except perhaps for "Sawpit field". Many of the field names were uninspiring referring to their size or position; e.g. "Ten acres", "Road Field" etc.. Some, to my 20th century mind, seem rather romantic; e.g. "Vinnings" ( possibly there had been a vine there at some stage), "Grandmother Pightle", Great John's Grounds", "Harps", and "The Urchin" . The complete list of field names and numbers is included in the Word document posted below. 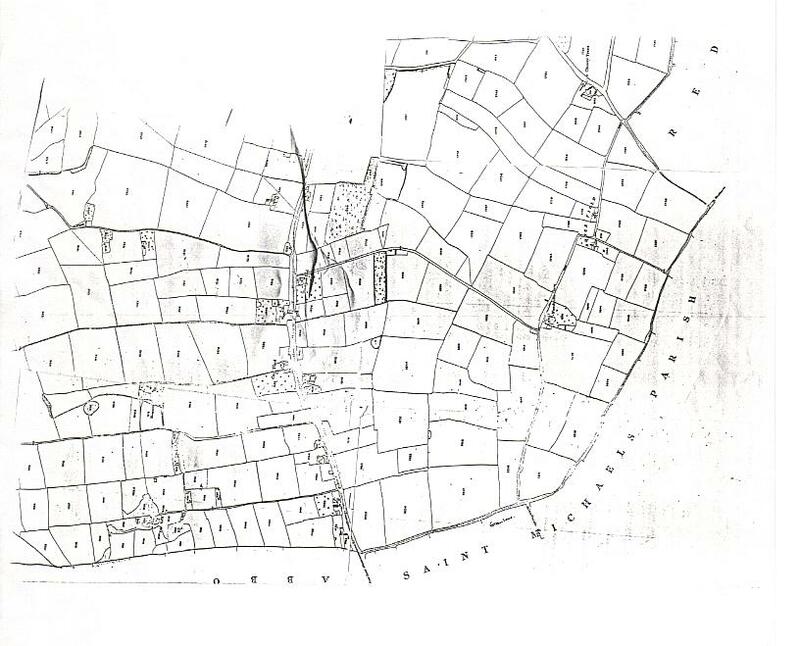 The survey also revealed the probable whereabouts of the seventeenth century manor of "Market Oak", as several of the fields along the Bedmond Road referred to it. These were "Market Oak Field"," Hither Market Lands", and "Further Market Lands", and they matched up well with fields on the Abbots Langley side of the Boundary, which were also called Market Oak. 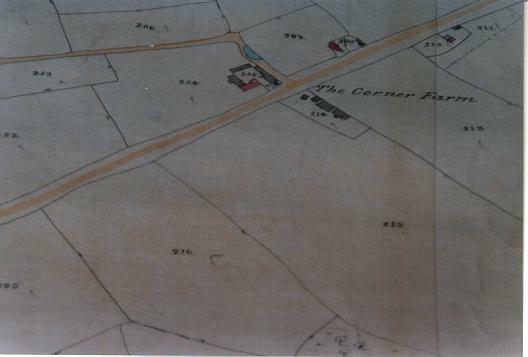 It therefore seems highly probable that the manor of Market Oak had been situated close to the cross roads formed by Bunkers Lane, Blackwater Lane, and Bedmond Road. 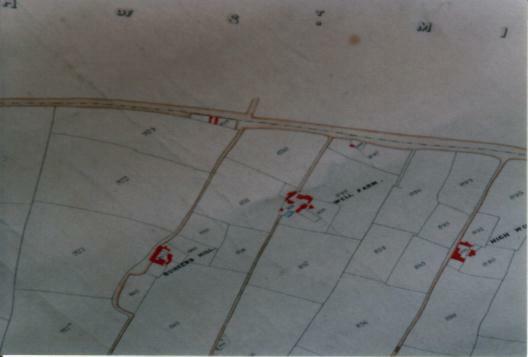 Using the information in the tithe survey it is possible to say who owned, and who lived in the various farms and principle dwellings in and around Leverstock Green. Many of these have been mentioned above, but it is interesting to note who owned and ran the various licensed premises: The "Red Lion" was owned by Thomas Cromack, and occupied by William Ward, The "Rose & Crown" ( part of which was in Abbots Langley parish, and part in St. Michael's parish) was owned by Thomas Hinder and occupied by Richard Ostler, and the "Leather Bottle" was still owned by George Holloway, the Hemel Brewer, with William Kingham as the licensee. There were two other beer houses owned by Joseph Finch; one run by William Cooper. This hostelry, called the "White Horse" was near to what was to become the old post office, in the group of houses/shops built in the village opposite the green, roughly where the car park is today. New premises were built for the White Horse when The Village Centre was built in 1966. [ S52 ] The second hostelry owned buy Joseph Finch was occupied by Joseph Elborn. Several other interesting features showed up on this tithe map, which had either disappeared or been altered BEFORE the 1st edition O.S. map just 30 years later. 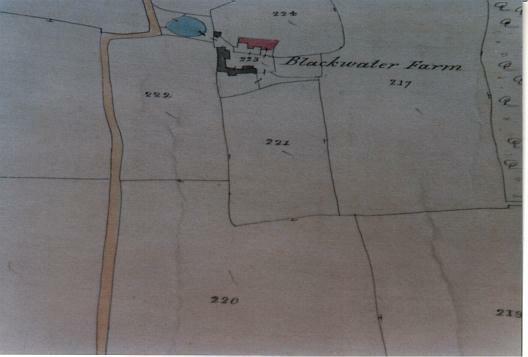 The principle change here was that Blackwater Farm, shown as a considerable holding with homestead and farm outbuildings, had completely gone by 1872, with just the farm pond left to mark where the farm had been - that is just to the SE of where the water tower is today. 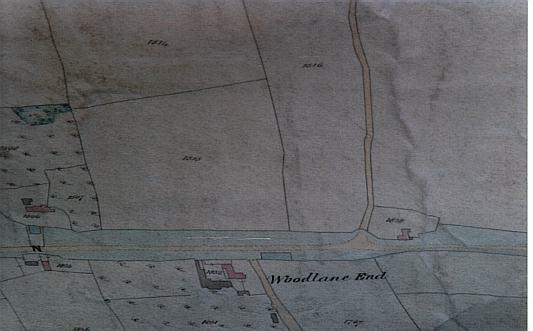 Another major difference was, that in 1840, when the tithe map was surveyed, Pancake Lane did not follow the straight line between Leverstock Green Road and Westwick Row as it does today, and indeed also followed in 1872. Instead the northerly end of the Lane curved off to the left, not quite reaching Westwick Farm, but coming into Westwick Row opposite some cottages on the northern side of the Row. 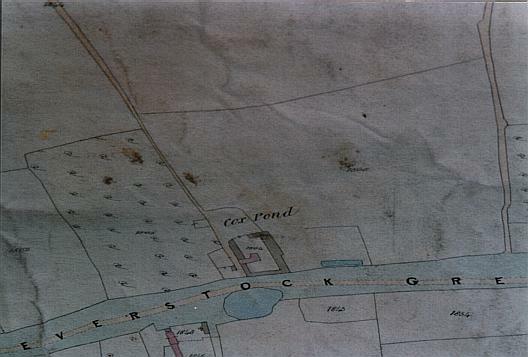 The centre of Leverstock Green was clearly shown in much the same position as today, and showed the various dwellings as they were still to be found before the new Village Centre development of the late 1960's, and the re-routing of the road to its present position. The roadways as marked going through the centre of the village, also clearly showed the small triangle of green, and wide verges which formed the common "wastes" in the centre. A large, almost rectangular field formed a buffer between Leverstock Green Road and the Bedmond Road, coming to just the village side of the entrance to Pancake Lane. A good sized roughly triangular area of waste was left bare between this field and the pond behind Church Cottages. It was this land that was only a few years later to be used to build Holy Trinity Church. Like the St. Michael's Tithe map, the map for Abbots Langley was also surveyed by John Goodman, so there were similarities in style, and the cartography was equally as beautiful as the St. Michael's map. However, there was still a different "flavour" to the apportionments, as they were not recorded in quite the same way. Land ownership was dealt with in blocks, but not in alphabetical order, nor by putting all the holdings of one owner together. Generally speaking, however, the numbering of the parcels of land and the land ownership went West to East and East to West up and down the old medieval furlong strips, although they do not always strictly follow this pattern. Apart from the obvious preservation of the medieval furlongs in the path and field boundaries, a small part of the old medieval strip system was still in existence at the time of the survey. This was Winchdell Common which still preserved its individual strips, owned by three seperate individuals, with their seperate strips not running together. Today it forms part of the huge arable field sandwiched between Chambersbury Lane and Bunkers Lane and bordering on Bunkers Lane itself. The most northerly part of the parish of Abbots Langley was then Leverstock Green Farm, wedged into its near right-angled apex. The map also showed very clearly how the boundary between Abbots Langley and Hemel Hempstead ran in a line parallel with Peascroft Road, and still preserved in a short stretch of Crofts Path today. Similarly, a road or trackway was very clearly shown running along the line still preserved as a footpath today running from the village end of Malmes Croft, through Ullswater Road, through the footpath by the side of the tennis club, and along Peascroft Road. It was just known as The Lane. Field Names followed a similar pattern to that in the St. Michael's tithe, but generally the names were less inspired. Several of them have been preserved in present day street names, although it would appear that a transposition of the numbers 917 and 971 may have lead to Rumballs Road and Winchdells in Bennetts End being inaccurately named, as the real Winchdell and Rumballs were as previously mentioned further to the south-east bordering Bunkers Lane. The full list of land ownership, occupation and the field names are given in a seperate appendix. 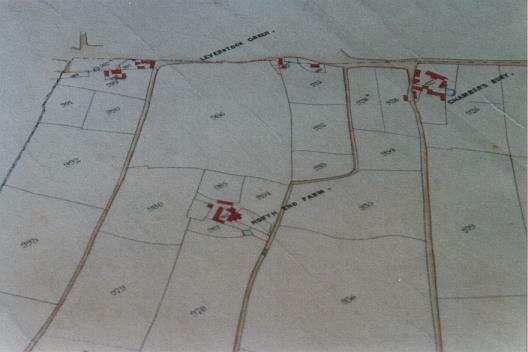 Two fields called Market Oak were listed, one roughly where Market Oak Lane is today, and the other a largish field bordering on Bunkers Lane and the Bedmond Road, and with three cottages in it. Below, and with the kind permission of Hertfordshire Archives & Local Studies I have published photographs taken by myself of the Hemel Tithe Map at HALS, which regretfully is not in the best of condition- also a composite map made from reducing and piecing together copies of the map held at Hemel Hempstead Library. 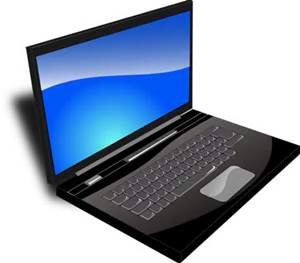 In addition a full list of all the tithe aportionments for this sector is included as a Word document. Maps showing the parish boundaries. In the coloured version, the area marked orange was also part of the Hundred of Casio and the Libwerty of St. Albans, the area in lilac was the Hundred of Dacorum. Click on images to enlarge. Extracts from St.Michael's Tithe map, reproduced here with the kind permission of the Hertordshire Archives & Local Studies. All photographs and scans of HALS documents shown on this website are published herre with the kind permission of Hertfordshire Archives & Local Studies.